Don’t delay booking your place(s) on this course, which runs on 25 September in Motherwell and provides an overview of good fleet management principles, the Operator Licensing system and the FORS Standard. 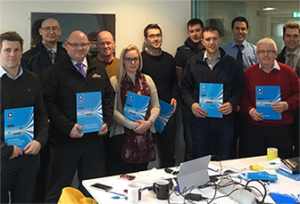 The one-day course equips fleet managers and supervisory staff with the knowledge and skills required to effectively perform the duties of the formally appointed ‘responsible person’, maintaining continuous and effective control of the fleet operation as required at Bronze level under ‘M3 Responsible person(s)’. It is the first fleet management course that aligns the undertakings of the Operator Licence with the requirements of the FORS Standard ensuring an effective and valuable learning experience. There is a formal open book written assessment at the end of this training course. Successful completion of the assessment results in obtaining the ‘Certificate in Fleet Management Essentials (O Licence Operations)’. This is awarded by the Chartered Institute of Logistics and Transport (CILT) in association with FORS.